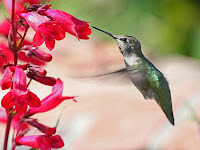 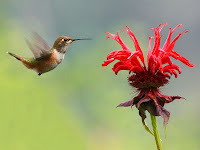 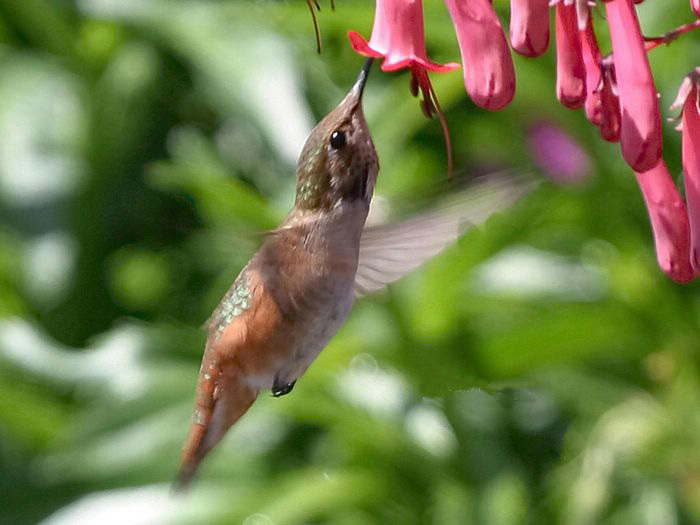 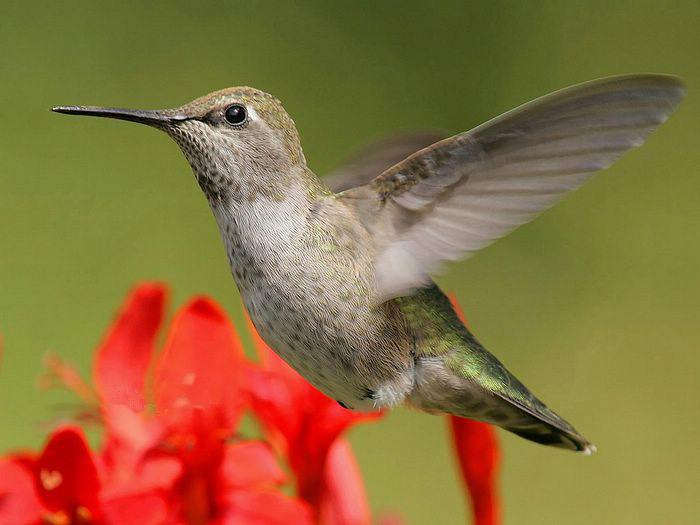 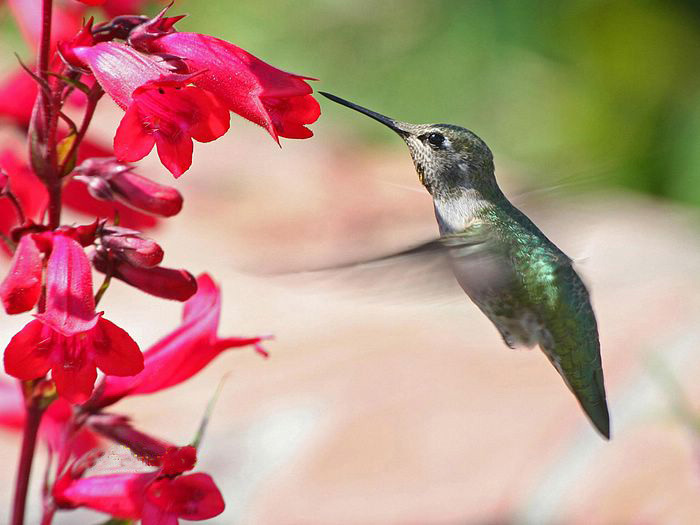 Found only in North and South America, Hummingbirds are the smallest birds in the world. 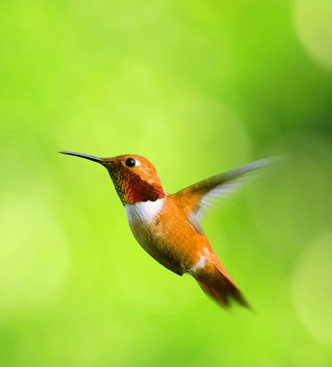 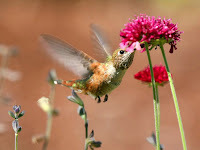 Hummingbirds can fly backwards and only a group of birds can do this. 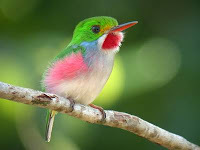 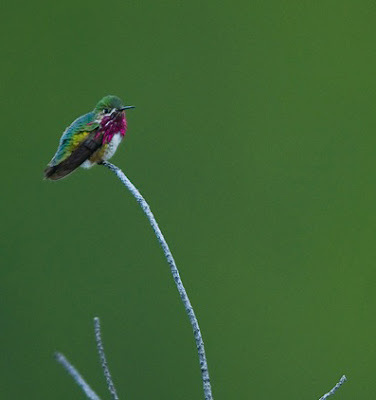 Bee hummingbirds live on Cuba and on Isla de la Juvantud. These 5.7 cm long Male Bee Hummingbirs weigh weigh 1.6g. Females are a bit larger than Male ones. They can fly at a maximum speed of 80 km/h. 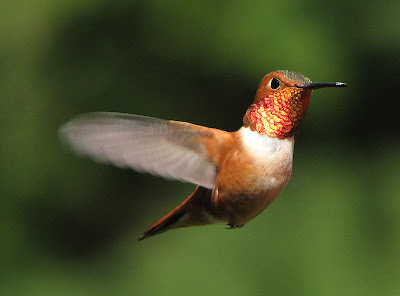 Their wings flap up to 80 times a second. 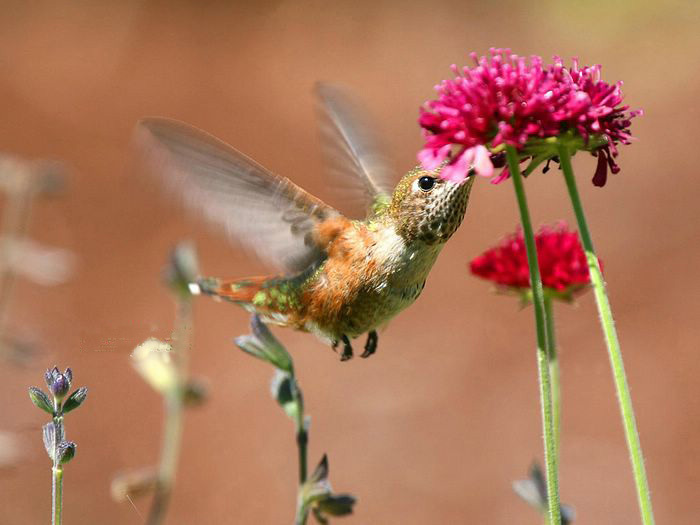 Most hummingbirds have bills that are long and straight or nearly so, but in some species the bill shape is adapted for specialized feeding. 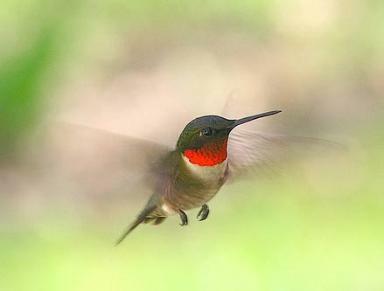 Maximum life expectancy of hummingbirds is 8 years.